A collection of lyrical music for pipe organ featuring Canadian works by Florence Durell Clark, Robert Fleming, Talivaldis Kenins, François Morel and Ruth Watson Henderson, alongside Jan Janca (Germany), Ernest Bloch (U.S.) and Fela Sowande (Nigeria). An essential element of any organ recording is the marriage of repertoire with a suitable instrument. Each pipe organ has a unique signature deriving from the style of organ-building, voicing, stops and acoustics. The music featured here finds an excellent partner in the tonal palette of the organ of St. George’s Cathedral, Kingston, Ontario, CANADA. Half of this CD - about 35 minutes - features tracks of lyrical and tonal Canadian works, mostly in premiere recordings. The Canadian composers featured are Florence Durell Clark (1891-1977), Robert Fleming (1921-1976), Talivaldis Kenins (1919-2008), François Morel (b. 1926), and Ruth Watson Henderson (b. 1932). From Swiss/American composer Ernest Bloch, the Six Preludes for Organ offer beautiful miniatures derived from the Hebraic modes of Jewish liturgical and folk music. Jan Janca (Poland/Germany) offers an exuberant Choraltoccata on Wachet Auf, Ruft uns die Stimme and a spirited, dance-like Rondo inspired by the centuries-old "Reigentanz" (round-dance). From Nigeria and the music of the Yoruba people, composer Fela Sowande's Prayer merges the pentatonic idioms of traditional Yoruba music with western harmonies and form. Organist William O'Meara has enjoyed a decades-long freelance career performing all over the world. He is currently Cathedral Organist of St. Michael's Cathedral, Toronto. Etsuko Kimura (violinist in Suite for Organ & Violin by Ruth Watson Henderson) is assistant concertmaster of the Toronto Symphony Orchestra. 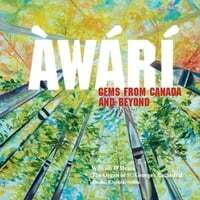 Àwárí is the Yorùbá noun and verb for “curiosity, discovery, to discover.” It is hoped that with this collection, the listener’s curiosity will be amply rewarded with musical discoveries. The recording opens with two contrasting works by Polish-German composer Jan Janca: Choraltoccata über Wachet auf, ruft uns die Stimme and Rondo. Wachet auf, ruft uns die Stimme (Awake, the voice is calling us) is the opening line of a Lutheran hymn first published in 1599. This hymn formed the basis for J.S. Bach’s cantata BWV 140 of the same name, and the first of his six Schübler organ chorale preludes, BWV 645-650. The well-known chorale tune has inspired compositions by Dietrich Buxtehude, Felix Mendelssohn-Bartholdy, Max Reger, and Hugo Distler; countless instrumental arrangements exist of Bach’s organ chorale prelude, one of the most popular among them being Leopold Stokowski’s lavish orchestral version. Janca uses the tonic triad in arpeggiated and chordal forms as the basis for the opening statement of the Choraltoccata. The middle section makes use of the Cornet stop to declaim the melody with added ornamentation and rhythmic flexibility before virtuosic elements return. The first half of the chorale returns in the pedal against arpeggios in the manuals followed by solid chords, and the remaining phrases of the chorale are heard as the piece moves energetically to a dazzling and conclusive tone-cluster. Harald “Jan” Janca was born in 1933 into a German-Polish family in present-day Gdańsk (Danzig), Poland. His first organ studies were with his father, Anton Janca. He subsequently attended the Music Academy in Kraków from 1950 to 1955 to study organ and composition. After a concert tour in West Germany in 1957, he moved there, furthering his studies in composition at the Stuttgart Musikhochschule from 1958 to 1962. He held the position of Organist at the Domkirche St. Eberhard in Stuttgart and took private organ lessons in Paris with Marcel Dupré. From 1972 to 1996, Janca was organist at the St. Johanneskirche in Tübingen, during which time he also taught at the Wilhelmsstift, a Catholic seminary in that city. His œuvre includes compositions for organ, trombone and organ, choir, and piano. In June 2013, Janca was awarded the Bundesverdienstkreuz (Federal Cross of Merit) by the German government. Suite for Organ and Violin had its genesis in a concert that featured the organ works of Ruth Watson Henderson as part of Toronto’s Organix festival in 2006. Several months prior to the performance, the composer graciously offered to write a short work for organ and violin to be included in the programme. The Suite for Organ and Violin was premiered by William O’Meara and violinist Etsuko Kimura on May 3, 2006 at St. Basil’s Church, Toronto. Inspired by the 150th anniversary of the parish, the composer chose to use a dance rhythm in the third movement, evoking the folk music of Irish immigrants who arrived at St. Basil’s Church in the mid-19th century. Ruth Watson Henderson (1932 –) began her career as a concert pianist performing with orchestras across Canada and on CBC Radio. For many years, she was accompanist for the Festival Singers of Canada and for the Toronto Children’s Chorus. It was during her time with the Festival Singers that she began writing choral music. Her compositional output includes works for organ, piano, violin, string orchestra, and more than 80 choral pieces. Watson Henderson’s choral works are regularly performed and recorded worldwide; Chromatic Partita and Celebration, two solo organ compositions, have garnered international awards. Her commissioned works include the acclaimed From Darkness to Light, a cantata for choir, chamber orchestra, organ and soloists, commissioned by the American Guild of Organists; Peaceful, the Wondrous Night commissioned by CBC; and Voices of Earth, commissioned by the Amadeus Choir. The “timeless theme” of Robert Fleming’s Variations on a Timeless Theme is an ancient plainsong melody that usually accompanies the 7th century Advent hymn text Conditor alme siderum. The first written notation of this melody appears in the 9th century when a system of musical notation in Europe first evolved. The plainsong theme is stated as a solo in the pedal, and the eight variations that follow demonstrate the colours of the organ and the composer’s lyrical and melodious musical language. Variations on a Timeless Theme was written for Ottawa organist Lilian Forsyth for her performance at the Canadian Pavilion of Expo 67 in Montreal, the international exposition that was part of the celebrations marking Canada’s centenary in 1967. Installed in the theatre of the Canadian pavilion was a Casavant pipe organ (Opus 2915, 18 stops, 25 ranks, mechanical action), on which recitals were given by several eminent Canadian organists. Robert Fleming (1921-1976) was born in Prince Albert, Saskatchewan. Fleming worked as a staff composer at the National Film Board (NFB) of Canada from 1946 to 1958, and then as music director until 1970. Upon leaving the NFB, he taught courses on 20th century music and Canadian composers at Carleton University in Ottawa until his death. His compositions include ballets, film scores, instrumental works, compositions for piano and organ, and about one hundred art songs. Perhaps his best-known composition is the song cycle The Confession Stone for voice and piano, written for Canadian contralto Maureen Forrester. Fleming also had a long and fruitful association with the Anglican Church of Canada, composing over fifty original hymn-tunes and nine settings of the Eucharist. Six Preludes for Organ by Swiss-American composer Ernest Bloch (1880-1959) derive their musical language from the Hebraic modes of Jewish liturgical and folk music. Bloch was not familiar with composing for the organ and its musical capabilities; nevertheless, his numerous indications for both subtle and sudden changes in dynamics, and his copious interpretative markings, while sometimes challenging to execute on the organ, are integral to an idiomatic performance of these six beautiful miniatures. A native of Geneva, Switzerland, Bloch studied violin and composition in Geneva, Brussels, Frankfurt, Munich, and Paris. A tour to the United States in 1916 and the successful premiere of his Trois Poèmes juifs by the Boston Symphony Orchestra in 1917 inspired the composer and his young family to move to that country. Over the years he assumed several important positions at the Mannes School of Music in New York, the Cleveland Institute of Music, the San Francisco Conservatory of Music, and the University of California, Berkeley. Bloch was the recipient of several significant awards: the Coolidge Prize (1919), American Academy of Arts and Letters Gold Medal (1942), New York Music Critics Circle Award (1947, 1954), and the Brandeis Creative Arts Award (1959). Several of his works are well established in the classical repertoire: Schelomo – Rhapsodie hébraïque for cello and orchestra (1916), “Nigun” from the Baal Shem Suite for violin and piano (1923), Piano Quintet No. 1 (1923), From Jewish Life for cello and piano (1924), Concerto Grosso No. 1 for strings and piano (1925) and Avodath Hakodesh – “Sacred Service” for baritone, choir and orchestra (1933). Born in Rochester, New York, to Canadian parents, Florence Durell Clark moved to Hamilton, Ontario where her father served as choir leader of James Street Baptist Church from 1895 to 1906. Clark obtained a Bachelor of Music from the University of Toronto, where she studied composition with Sir Ernest MacMillan and violin with Luigi von Kunits, a pupil of Anton Bruckner and the founding conductor of the Toronto Symphony Orchestra. She earned a licentiate degree at Trinity College, London, and was a Fellow of the RCCO. For many years, Clark was a violist in the Hamilton Symphony Orchestra in addition to serving as organist and choir leader at several Hamilton churches. Her compositions include works for strings, solo voice, and choir. The juxtaposition of Prayer (Oba A Ba Ke) by Fela Sowande (1905 – 1987) and Prière by François Morel (1926 – ) illustrates the contrasting musical backgrounds of these two composers. A Nigerian of the Yorùbá people, Sowande’s musical language was inspired by a synthesis of the long-standing traditions of both Yorùbá pentatonic music and the Anglican Communion. Morel, born and educated in Quebec, was trained in the Western European musical idiom. In the introduction to Prayer (Oba A Ba Ke), the composer feels compelled to dispel some misconceptions about Nigerian music. use no drum-rhythms at all, and approximate more closely to the Catholic plainchant than to any other type of music. Lord of the Rainbow, forgive us our offences; for the sake of Jesus, grant us pardon. Olufela (Fela) Obafunmilayo Sowande was born near Lagos, Nigeria and sang in the choir of the Cathedral Church of Christ Marina, Lagos. As a chorister and student of the organ, he was introduced both to Yorùbá works and to those of J.S. Bach and other European composers. He also enjoyed playing jazz and popular music as a bandleader. In 1934, in order to further his musical studies, Sowande moved to London, England. Within two years, he had become theatre organist for the BBC and performed, both in concert and on recordings, with the likes of Fats Waller, Adelaide Hall, and Dame Vera Lynn. While he was busy on the stage, Sowande earned a Bachelor of Music at the University of London, and became a Fellow of both the Royal College of Organists and Trinity College of Music. Western and African ideas permeate his organ works such as Yorùbá Lament, Obangiji, Kyrie, Gloria, Jesu Olugbala and Prayer (Oba A Ba Ke). His orchestral works include African Suite, of which the final movement, Akinla, was the theme of the popular CBC radio music program Gilmour’s Albums, which was broadcast nationally in Canada from 1957 to 1997. From 1962 to 1968 Sowande returned to Nigeria to do scholarly work with the Nigerian Broadcasting Corporation and the University of Ibadan. In 1968, he moved to the United States, teaching at Howard University in Washington, D.C., and then at the University of Pittsburgh. In the last years of his life, Sowande taught in the Department of Pan-African Studies at Kent State University in Ohio. Composed in 1954, Prière was written specifically for the organ of the Église Saint-Jean-Baptiste in Montreal (Casavant Opus 615, 1915/1996, 65 stops/92 ranks) and is dedicated to the organist, Bernard Lagacé. The chords in the first section of Morel’s Prière accompany a modal theme played in the pedals; in the middle section of the piece, the pedal functions as an independent bass line – perfect fifths rise chromatically in a repeating pattern of a descending minor third, followed by an ascending major third. At the mid-point of the piece, this pedal pattern reverses, creating a mirror image that descends as lush chords in the left hand accompany a modal filigree on the flute stop in the right hand. A short recapitulation of the opening leads to sustained chords on the string stops. With its modal themes and indeterminate chords, Prière might be likened to an ancient plainchant accompanied by distant and atmospheric harmonies. François Morel was born in Montreal into a family of musicians. He studied in Montreal at the Conservatoire de musique et d’art dramatique du Québec. A founding member of the Canadian League of Composers, from 1956 to 1979, Morel worked for Radio-Canada as a composer of incidental music, as well as a music consultant and researcher. From 1972 to 1978, he was director of the Académie de musique du Québec, and from 1979 to 1997, taught at the Université Laval. His works have been performed abroad in China, Japan, Europe and the United States by such renowned conductors as Abbado, Dutoit, Mehta, Monteux, Schippers, and Stokowski. I have always believed that the value in music rests on writing idiomatically for the instruments that will play it. Toccata is the third and final movement of Suite in D by Latvian-Canadian Tālivaldis Ķeniņš (1919-2008). The composer has indicated three simultaneous time signatures for the Toccata: 12/8, 6/4, and 3/2. The resulting rhythmic patterns compete against each other, as heard in the three distinct musical lines of the right hand, left hand, and pedal. The effect is relentless, permeating the entire ternary form of the piece, which ends with a suitably dramatic coda. Suite in D was composed in 1972 and is dedicated to the late French organist Marie-Claire Alain, a classmate of Ķeniņš during his studies at the Conservatoire de Paris. Upon his graduation in 1951 from the Conservatoire, his Cello Sonata won the Grand Prix Laureate. Ķeniņš immigrated to Canada from Latvia in 1951 to assume duties as organist at St. Andrews Latvian Evangelical Lutheran Church in Toronto and the following year, joined the Faculty of Music at the University of Toronto. His extensive output includes eight symphonies, twelve concertos, three cantatas, an oratorio, chamber music, piano sonatas and, several works for organ.